The stunning fragrance of this four-wick candle is rejuvenating and uplifting, the perfect blend for those looking for a mental ‘pick me up’. Sometimes the stresses and strains of daily life can leave you weary and run down. Our beautiful fruity blend is the perfect choice for the end of a long, hard day – just light the candle, put your feet up, grab a glass of wine and let all your stress and anxiety melt away as the exquisite fragrance revitalises and restores. The delicious scent is created from the rounded sweetness of wild figs and blackcurrants, spiked with tangy orange and lemon and infused in the purest wax candle. Wild fig is often blended with blackcurrant in aromatherapy as the perfect combination. 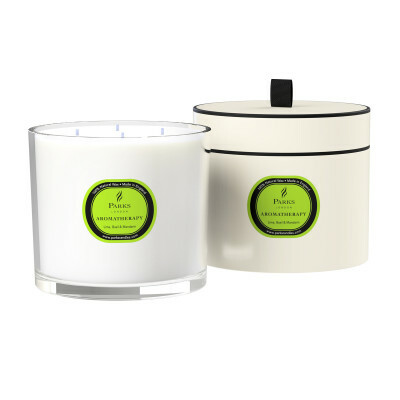 The rich, fruity scent creates a happy, positive mood in the home. Tangy orange and zesty lemon provide a citrus twist – uplifting and brightening, helping to combat mental fatigue and stir the senses. Each precious essential oil is blended in the purest candle wax produced from natural sustainable materials at our own facility in Hartlebury. 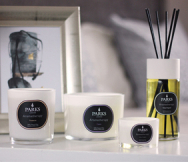 Providing around 100 hours of heavenly aroma, our four-wick candle is a luxurious item to be treasured or a stunning gift for friends or family. 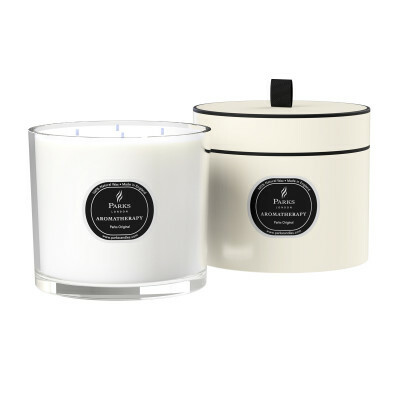 Presented in a beautiful, large glass container that measures 13cm in height by 15cm in diameter, this gorgeous candle comes packaged in one of our impeccable signature boxes, styled in white with subtle black trims and a black loop. The beautifully designed deep pink labels are coordinated on the box and candle itself, reflecting the sweet fruity fragrance of the blend.